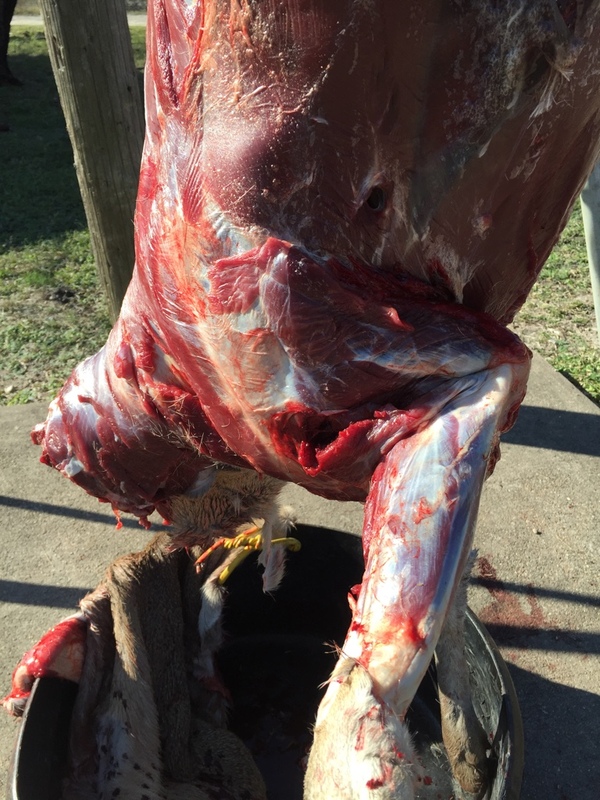 Deer named &amp;quot;Socks&amp;quot; is down. Well folks, I got it done on our lease this morning. We still had a trophy to kill but with livestock show this coming week I knew I probably wouldn't make it out there. Today I decided to give it a try. 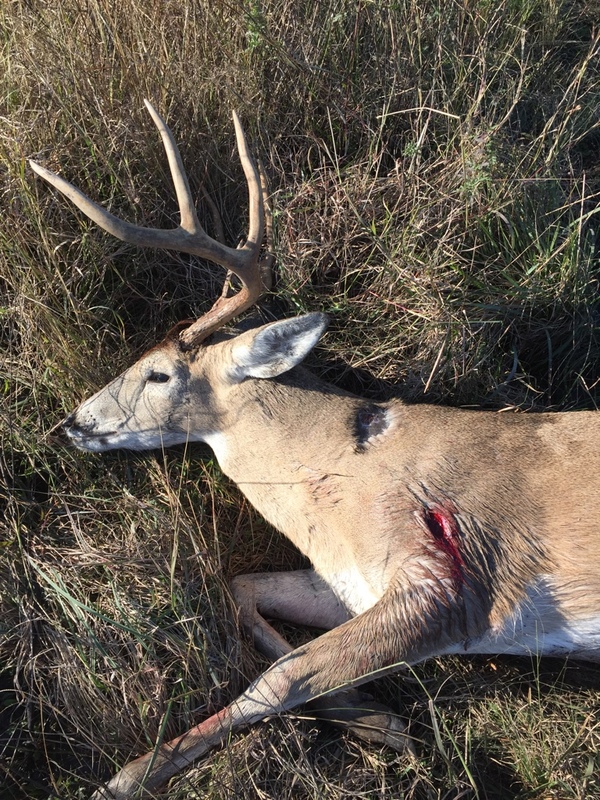 My target deer got killed a couple days ago by a rifle hunter about a mile away. Im very glad he got it cause he is a friend that I call Pops. 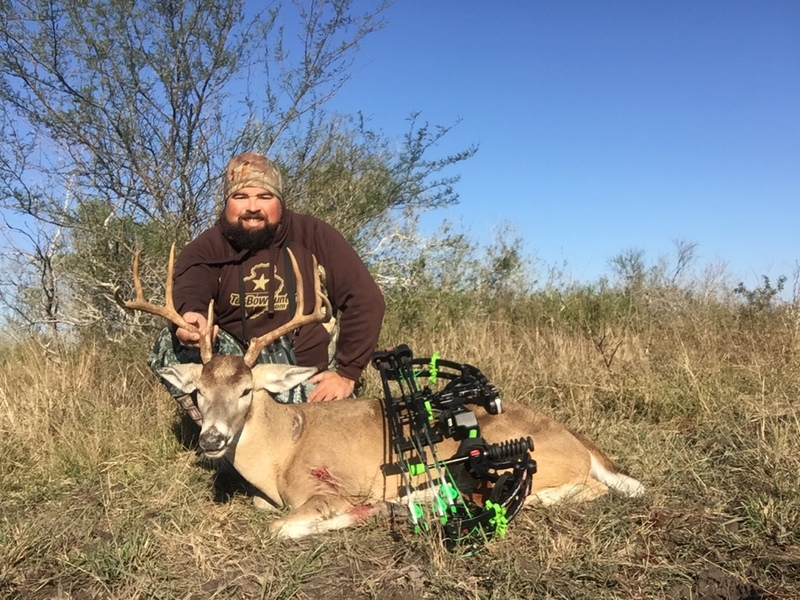 It was his first trophy buck in about 25 years. Knowing that buck was gone I decided I would hunt an 8 point I named "Socks". His front two legs had a lot of white. Since he is a regular at my feeder I had a good feeling I would get a chance at him. Well about 8:15am he came in there running all the young ones off. Problem is there wasn't but a few kernels left. He was on the move and would not present a shot for me. Two of the little guys decided to fight just out of view and he went after them. I thought he wouldn't come back due to the lack of corn. Well a few minutes went by and he deiced to make his way back into view. It was go time. He walked in like he owned the place. I quickly drew back and got settled. I waited for him to step forward and before I knew it the arrow was on its way. I noticed the shot was a tad back but he was quartering away pretty good. I also heard a load DING which was the arrow hitting my feeder leg. He bolted out of there and I saw blood spray out twice as he ran across my view. Money!!! After getting myself settled I took a look with my binos. I noticed the feeder leg had blood splattered on it and my arrow was laying on the ground bloody. Heck yeah!! I decided to give him an hour before tracking due to the tad back shot. I just wanted to be safe. 9:15 so its was time to track. Before I jumped in my pen I noticed some blood so I followed it. I never lost the blood trail. I followed it for around 70 yards thats when I caught a glimpse of him up ahead. I stopped and looked for breathing but there was none. Thank you lord. 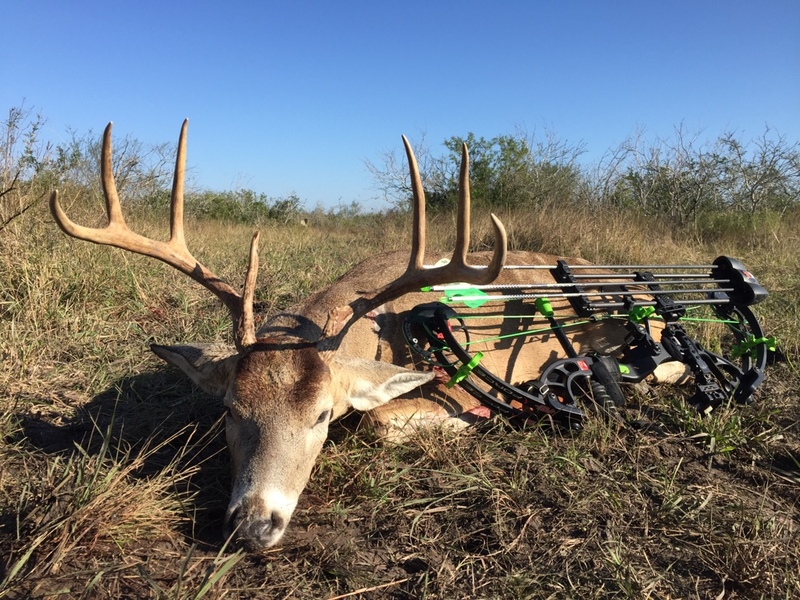 He is not a monster but a great bow kill to me. 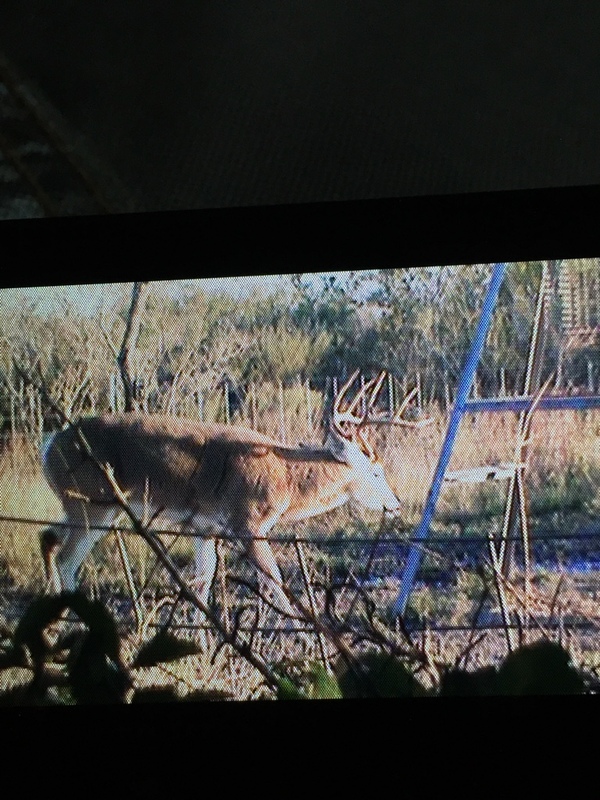 He has long main beams and a nice spread, with light pencil antlers. Just something about him that I liked. The shot turned out good with the exit being right on the money. The 2 blade 100grn Rage chisel tip did its job and more. 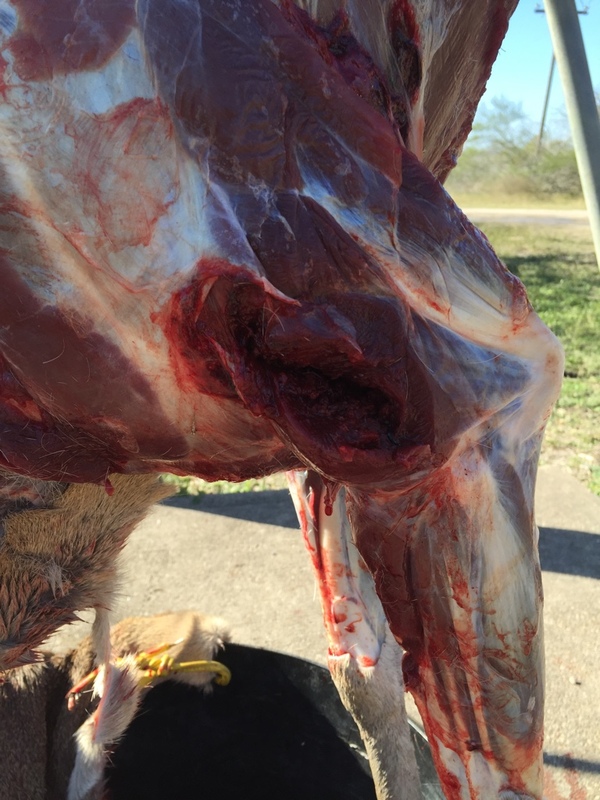 It blew right through the opposite shoulder breaking the leg bone and smashing against the feeder leg. 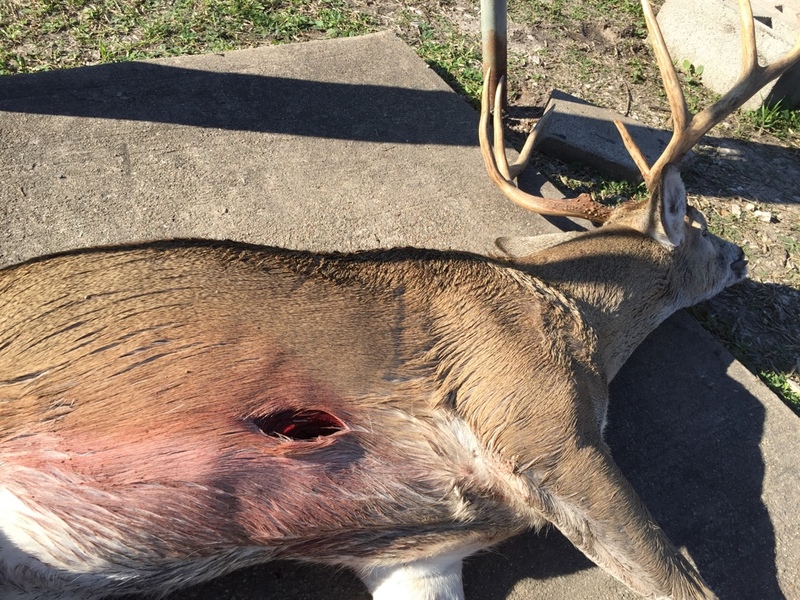 The broadhead had some damage of course but I don't care. It did its job. Now the pics. These were taken by myself using my Iphone camera delay. Thanks to technology. One thing I hadn't noticed about the beanie I was wearing is this was my dads beanie. After he passed my mom gave it back to me. Thanks for being with me this morning dad. Who said Rage wont break leg bones. Last edited by Poco; 01-10-2016 at 08:20 PM. Nice write up. Way to get it done! Grest buck. Congrats and thank you for the write up. Congrats amigo. Just curious what the neck wound looked like when the hide was removed. Great write up. Great shot! Awesome read and buck Ray! Congrats! Congrats and good job on a nice buck! Congrats on a nice buck!! Way to go Ray! Great job and a nice buck. Reminds me of one I shot a few years back. Congrats Ray. Great buck and shot. Thats just a beautiful deer and a great way to end the season. I love the fact that you are a family oriented man and you dont mind showing that in your posts. Im much the same way. Thank you for sharing with us! Looks like a good shot to me. Great deer! ?x2 congrats again friend. Seeing that deer alive was awesome, seeing him dead in front of you even better. Nice buck and what a whole! Congrats! That is an impressive exit wound. Rage do the job for sure. very nice brother . . . . . thanks for the write up! What's the spread? He sure looks wide. It was a hair under 20". Nice buck Ray! Glad you were able to get one of your target bucks. 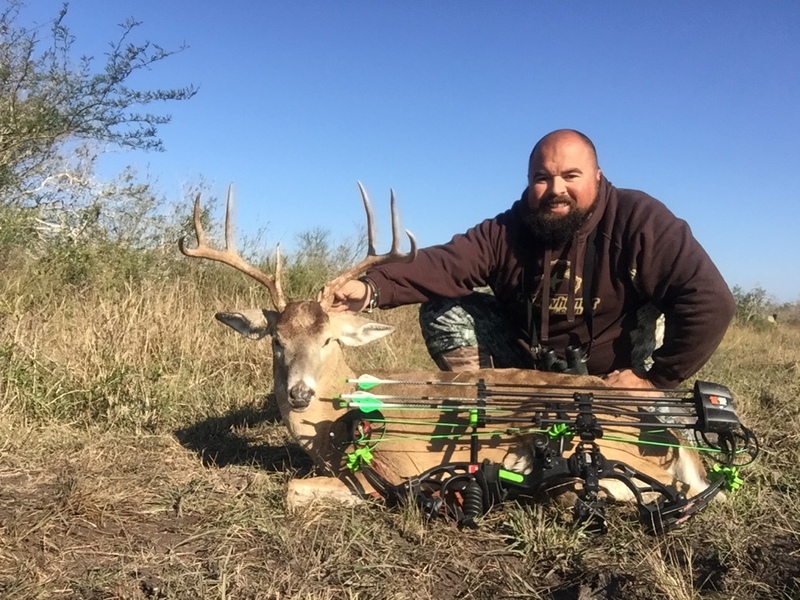 Nice deer man, great shot and good story . 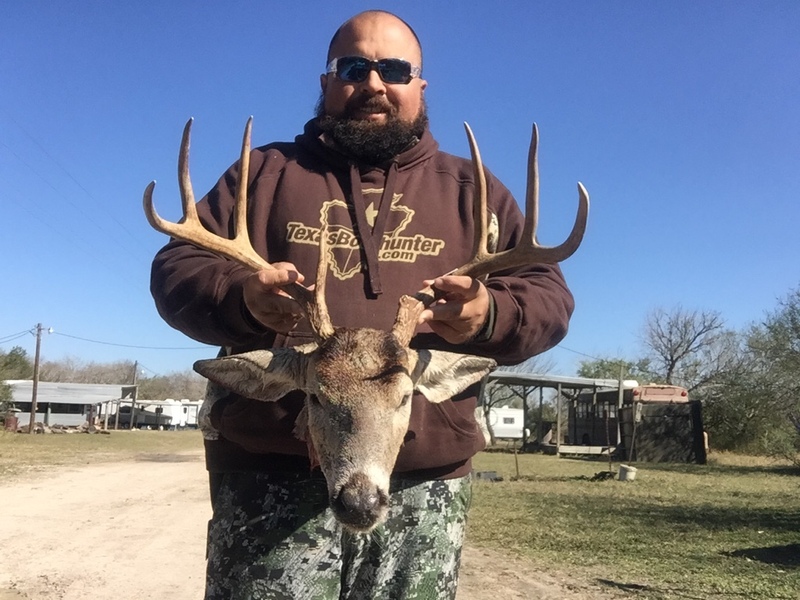 Great job Ray and good looking deer. Congrats! Those Rage do some damage for sure!!! Just seeing this. Well done Ray, that was a perfect shot. Gotta love those wide deer. I quickly determined after my first bow kill that a quartering away shot like you made, in the exact location I did, will put them down in a hurry. And is my preferred shot to take. Congrats!